By almost all accounts, Disney’s shiny new adaptation of Cinderella is a successful movie. Director Kenneth Branagh brings a sense of old-world classicism and genuine optimism to a fairy tale genre that has largely skewed towards dark and subversive adaptations in recent years. Financially, those gritty remakes have been a mixed bag: Snow White and the Huntsman and Maleficent were colossal hits, while Jack the Giant Slayer and Mirror, Mirror stalled. But despite their intermittent success, it seems likely that their time has passed. 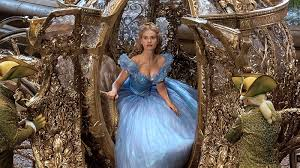 Cinderella’s impending box-office bonanza will surely inspire studio execs to follow its lead and shift the tone of their future fairy tale reboots away from darkly twisted and towards earnest goodness. This transition may in fact already be underway, with an adaptation of Beauty and the Beast currently in development. On the surface, this seems like a positive development; fans and critics alike are pleased with Cinderella, but its near-universal embrace deserves some scrutiny, as it could signal a shift in our cultural values. Does the coming of these sunnier adaptations mean we are entering a new era of optimism? Possibly, although it is hard to imagine what real-world development would justify such positive thinking. A closer read of the film’s politics reveals something a bit more concerning, and bit more in line with current realities. At its core, Cinderella is a celebration of wealth and privilege. The protagonist is a poor servant girl who gets to live like a princess for an evening. She gets a makeover, a luxurious new car, a chauffeur, and a pair of manservants. She gets to attend a fancy ball, where every eye in the room is fixated on her as she dances with her obscenely wealthy mate. At the end of the night, she reverts, of course, but it is only temporary: In every version, Cinderella ends up a princess. It is a capitalist fantasy that values merchandise – clothes, cars, and jewelry – over people. In the latest adaptation, however, the writers try their best to infuse some actual humanity in the proceedings. Cinderella is not a material girl by nature. When her father asks her what she would like him to bring her from his latest trip abroad, she requests only a tree branch, while her evil step-sisters want fancy goods. She refuses a new dress from her fairy godmother and instead asks that she simply update a dress her late mother owned (it still looks pretty fancy). And Cinderella has other non-materialist qualities; she is a budding animal rights activist who meets her prince by interrupting his hunt and saving an elk from certain death. Still, the intrinsic materialist values of the story cannot be avoided (hence the nearly $5,000 glass slippers being sold in conjunction with the film’s release), and it marks a disappointing shift from recent trends in films marketed to young women. Both recent Snow White adaptations – 2012’s Mirror, Mirror and Huntsman – reframe their ancient stories as calls for economic revolution. In each film, the evil monarch is a corrupted ruler whose kingdom and enormous fortune is predicated on a state of income inequality. These films reflect the spirit of the era in which they were made; in 2012, the Occupy movement was still fresh on our minds, and films that depicted extreme wealth as part of an oppressive social system felt timely and relevant. An even better example is The Hunger Games, which, in some ways, mirrors the journey of Snow White. Like the Disney princess, Katniss Everdeen is an orphaned teenager thrust out of her home and forced to survive in a dangerous forest. Politically, the Hunger Games tells of a revolution against a ruling class and despotic state, which, like the recent Snow White movies, speaks to a generation of young people whose hopes have been dashed by the political failures of their parents’ generation. Cinderella does just the opposite. In fact, the scenes set in the Prince’s opulent palace reminded me of those set in the Capitol in The Hunger Games, but with an important change in emphasis. In The Hunger Games, the culture of wealth was depicted as obscenely garish. A scene in Catching Fire in which rich partygoers rave about vomiting up their dinner so that they can continue eating recalls the worst excesses of the Roman Empire. In Cinderella, those nasty details are omitted, and any unpleasant political realities go unspoken. Even Cinderella’s home, which is supposed to be modest, looks like a mansion. It’s tempting to blame Disney for perpetuating a destructive materialistic culture (after all, that’s what Disney does), but the values of Cinderella are really the norm. Hollywood has adapted it more than any fairy tale, and that’s not even counting the loose, rags-to-riches adaptations of the ‘90s like Pretty Woman and Maid in Manhattan. With Beauty and the Beast on the horizon (as well as capitalist celebrations like the upcoming remake of Brewster’s Millions), it appears that the last few years of dark and stormy fairy tales was really an aberration that was destined for a short shelf life. Further, this shift in Hollywood’s depiction of wealth may simply be a reflection of our collective perception of the economy. Since the worst days of the 2008 recession, the feeling of economic crisis has certainly passed. Official unemployment numbers are low, the stock market is booming, and even the housing market has started to rebound. Perhaps then the film’s optimism is justified, but reverting to a culture that imagines affluence can be achieved with a magic wand still shows how little we have learned.